Three super foods come together in this cleansing energy booster: green tea, blueberries and Acai, an antioxidant-packed berry of Amazonian proportions. The purple Acai berry from Brazil is a nutritional super fruit and is one of the richest known sources of fruit antioxidants. We use all natural ingredients, no colors, no preservatives or sweeteners. Native to the Himalayas and nicknamed happy berry in Asia, Goji berry has more beta-carotene than you can shake a carrot at. It is one of the highest known sources of carotenoids of all common foods. 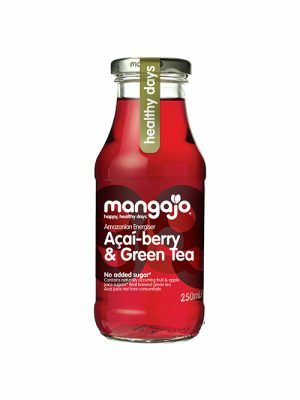 Combine this with green tea for a healthy dose of antioxidants to brighten up your day. We use all natural ingredients, no colors, no preservatives or sweeteners. This delicious lemon and apple drink with green tea will stimulate your mind. 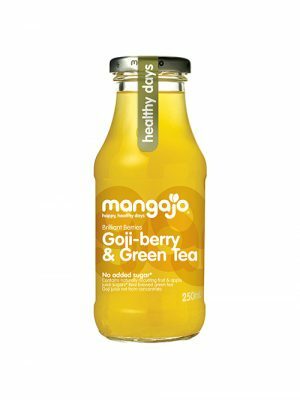 Asian societies have long believed in the healing properties of green tea, and these days it’s everyone’s favourite anti-oxidant. With a tiny kick of natural caffeine, green tea also sharpens your mind. 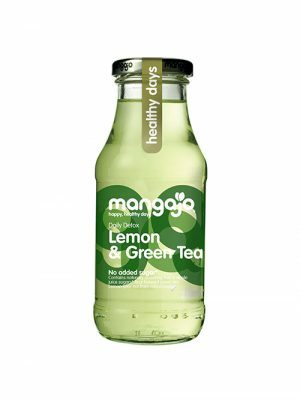 Our chilled version has a twist of lemon, and contains no sugar or artificial ingredients. This delicious pomegranate and apple drink with green tea is a great source of antioxidants. 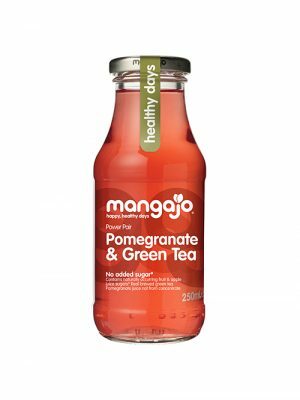 Combining age old wisdom from the Middle East and Asia, Pomegranate & Green Tea contains two of the world`s best known sources of antioxidants making it a double dose of detoxing refreshment that tastes great. We use all natural ingredients, no colours, preservatives or sweeteners.